Often we do not note how many things are just over our normal line of sight. If you try to leave the horizon out, just keeping what points directly to the sky, a different world appears. That’s what I’ve done with this picture, where what looks like envious signs of the human attempt to reach the sky remains in their inadequacy if compared with the target. 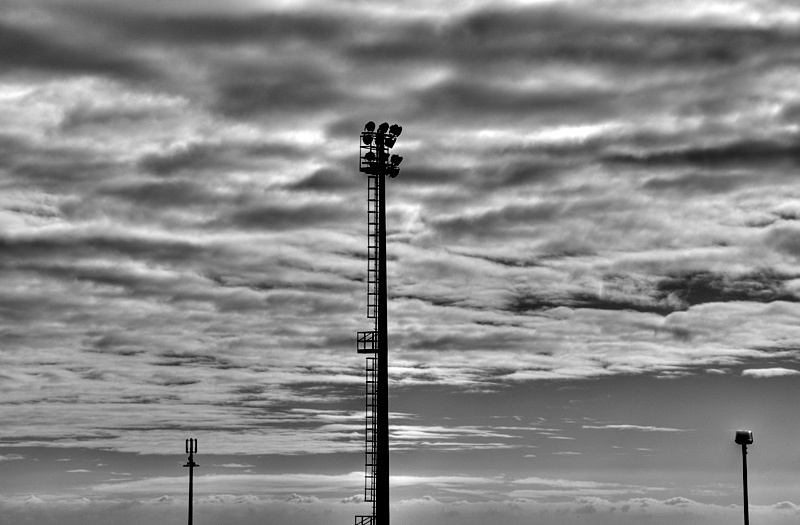 This entry was posted in Black and white, Landscape and tagged clouds, HDR, horizon, minimalist, picture, poles, red, signs, sky, target. Bookmark the permalink.